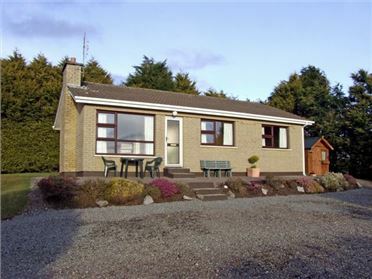 Maggi Roe's is a welcoming detached bungalow in the townland of Connagh, one mile from Fethard-on-Sea in County Wexford. 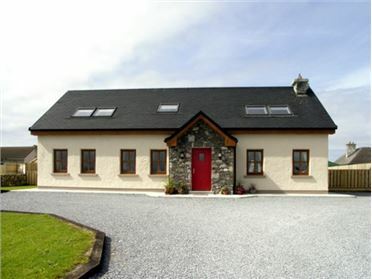 This cottage sleeps six people in three bedrooms, consisting of two doubles and one twin, as well as two shower rooms. 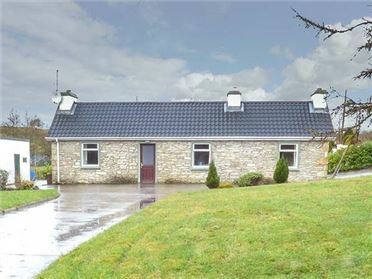 The cottage also has a kitchen, a dining room and a sitting room with open fire. Outside there is off road parking for five cars and a front and rear garden with furniture. 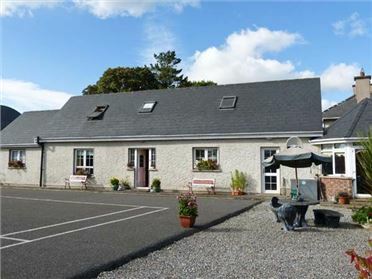 Maggi Roe's is a delightful holiday cottage for exploring the Hook Peninsula and the Sunny South East. Oil central heating with open fire and multi-fuel-stove. Electric oven and hob, microwave, fridge/freezer in dining room, washing machine in shower room, dishwasher, TV with Free-to-air channels, DVD, selection of books, games and DVDs. Fuel, power and starter pack for fires inc. in rent. Bed linen and towels inc. in rent. Cot and highchair on request. Off road parking for 5 cars. Front lawned garden, rear lawned and gravelled garden with furniture. Two well-behaved pets welcome. Sorry, no smoking. Shop and pub 1 mile.